This summer, Coca-Cola will again try to teach the world to sing — this time with a little help from its bottles and cans. 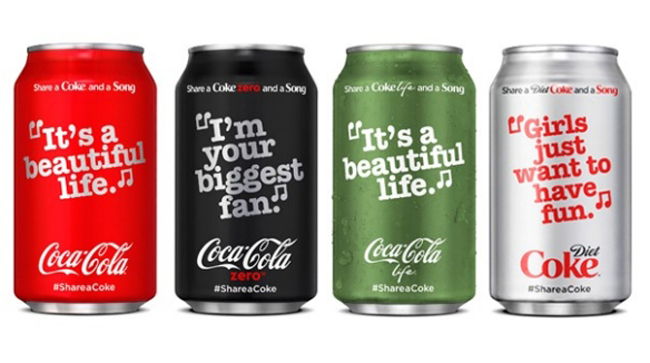 In a new phase of its “Share a Coke” campaign, the cola giant will put song lyrics pulled from more than 70 popular songs on packaging. Lyrics cover a range of music, from rock ‘n’ roll classics like Queen’s “We are the Champions” to patriotic songs such as “Proud to Be An American” by Lee Greenwood. 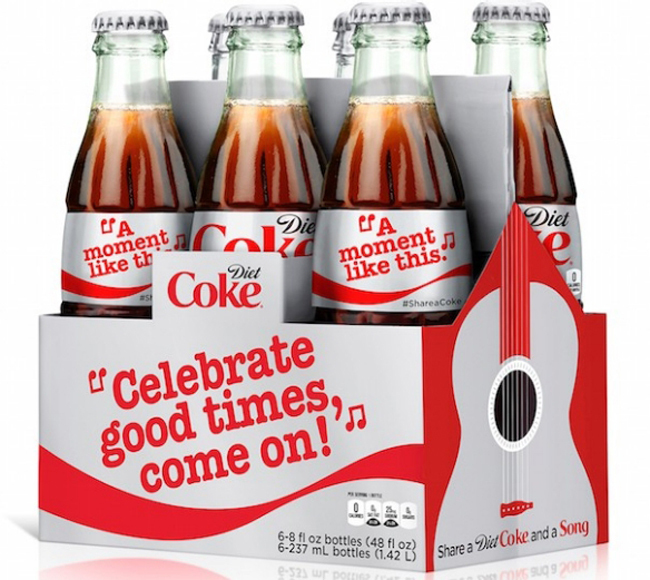 Coke will also include lyrics from some of its iconic campaigns, such as I’d Like To Buy The World A Coke. 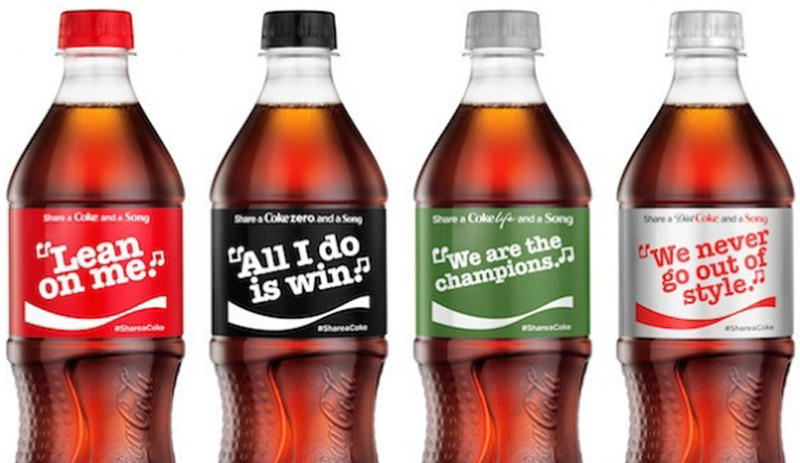 The campaign, called “Share a Coke and a Song,” will be supported by music-themed spots, social media and a summer-long experiential tour. 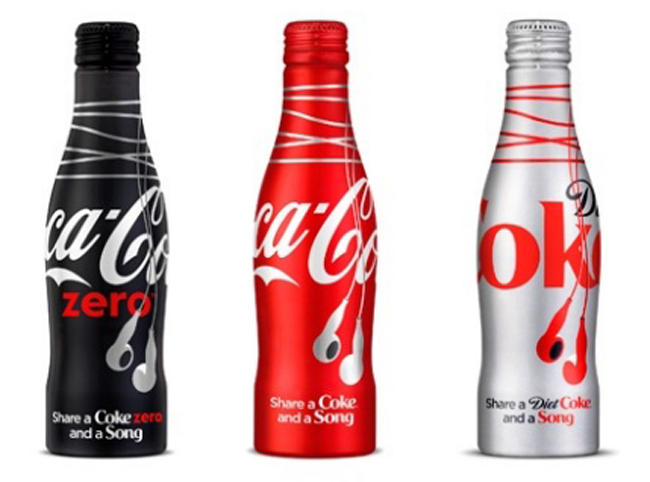 The campaign will encompass Coca-Cola, Diet Coke, Coke Zero and Coca-Cola Life, advancing a new one-brand strategy that unites multiple varieties together in the same marketing. Agencies on the campaign include Wieden+Kennedy, Portland for creative; Universal McCann for media;Arc Worldwide for shopper marketing; Cornerstone for music; Fast Horse for PR and FortyFour and Irban Group for e-commerce. Coke plans to extend its campaign to mobile by encouraging consumers to use the Shazam app to scan specially marked 20-ounce bottles and in-store signage. That will allow users to record a 15-second digital lip-sync video that can be shared on social media using the hashtag #ShareaCoke, according to the brand. This post was originally viewed on gdusa.